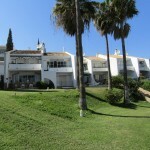 Key Estates has been established on the Costa Del Sol for over 8 years with its first office based in Calahonda. Over the last year the company's rapid growth has seen the company open a further 3 offices, branch out to cover some alternative coasts in Spain such as, Costa Blanca, Costa Brava & Costa Calida and venture into the world of exhibitions. The Key to their success.....low turn over of staff, bilingual employees, listening to what clients want, opening hours that cover everyone’s schedules, Listers that look for the property you want but have an existing data base of thousands. Over the last year Key Estates have travelled abroad to the many Real Estate Exhibitions aswell as achieving a large client data base from this, they have seen the trends moving and adapted themselves quickly, giving them a young fresh insight into what today’s society is asking for. The new Key Estates has a new approach, a new web site (Thanks to 123 Marbella - www.123marbella.com), a huge marketing campaign which means that if you own a property and want to sell or buying a property they will make the match faster.